Graph clustering (partitioning) is a helpful tool in understanding complex systems and analyzing their structure and internal properties. One approach for graph clustering is based on partitioning the graph into cliques. However, clique models are too restrictive and prone to errors given imperfect data. Thus, using clique relaxations instead may provide a more reasonable and applicable partitioning of the graph. An s-club is a distance-based relaxation of a clique and is formally defined as a subset of vertices inducing a subgraph with a diameter of at most s. In this work, we study the minimum s-club partitioning problem, which is to partition the graph into a minimum number of non-overlapping s-club clusters. Integer programming techniques and combinatorial branch-and-bound framework are employed to develop exact algorithms to solve this problem. We also study and compare the computational performance of the proposed algorithms for the special cases of \(s=2\) and \(s=3\) on a test-bed of randomly generated instances and real-life graphs. This material is based upon work supported by the AFRL Mathematical Modeling and Optimization Institute. Partial support by AFOSR under Grant FA8651-14-2-0005, and NSF Grant CMMI-1538493 is also gratefully acknowledged. Berry, N., Ko, T., Moy, T., Smrcka, J., Turnley, J., & Wu, B. 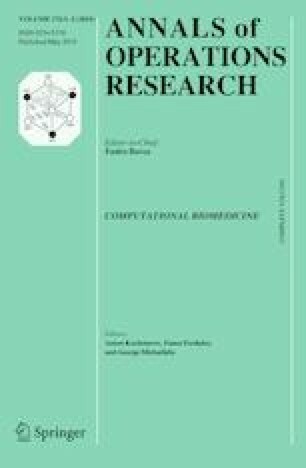 (2004) Emergent clique formation in terrorist recruitment. The AAAI-04 workshop on agent organizations: Theory and practice, July 25, 2004, San Jose, California. http://www.cs.uu.nl/~virginia/aotp/papers.htm. DIMACS (2012) Algorithm implementation challenge: Graph partitioning and graph clustering. The tenth DIMACS implementation challenge. http://dimacs.rutgers.edu/Challenges/. European Bioinformatics Institute. (2017). IntAct molecular interaction database. http://www.ebi.ac.uk/intact/. Accessed May, 2017. GUROBI. (2016). Gurobi optimizer. http://www.gurobi.com.